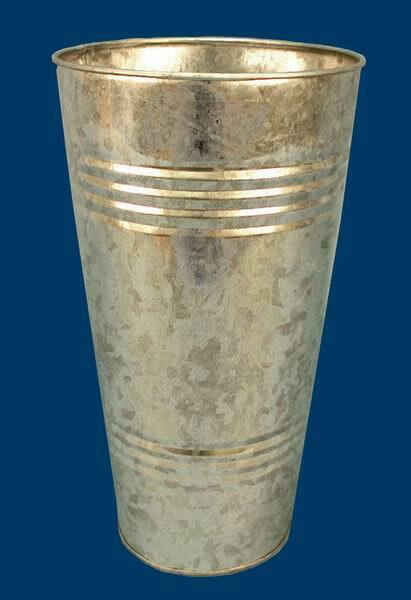 This Galvanized metal container can be used for flower vase as well as ice bucket. It measures 5" in diameter at the top, 3" in diameter at the bottom, 8" high. It makes a great gift basket. It is leak proof. This item is also available in two larger sizes. You can view these by clicking on item C1835 or item C1836.